Until the Mashiach Rabbi Nachman’s Biography: An Annotated Chronology, is a work by Rabbi Aryeh Kaplan, most known for his books on Jewish meditation. He was one of the figures who started the movement to bring meditation to the front and center of Jewish practice, and in a sense, much of Jewish meditation practiced today can look to him as their forefather. He died quite young in 1983 at 48, but left behind an impressive array of writings. He was also one of the first to translate Rebbe Nachman into English, and had an early association with the Breslov Research Institute. He helped spread the Rebbe's ideas to a wider audience and is one of the reasons Breslov has grown so much in the last forty year. This work is a rather dispassionate look at the Rebbe's life, death and legacy. Kaplan appears to have combed through the Rebbe’s work and that of his followers to provide a nearly day by day account of the Rebbe’s life. 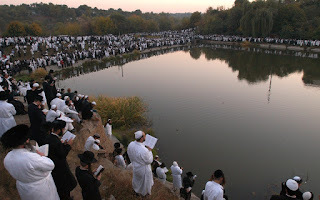 Instead of a dry rendition of the Rebbe life we would suspect, we instead see how dynamic a world Rebbe Nachman inhabited. He was always on the move, traveling here and there to his far flung communities. We get a picture not of a man sitting at his study, writing books (all things he did do) but a traveling man creating a divine community. This community, he believed, was a harbinger of the coming of the Mashiach (hence the title of this book). For anyone who wants to read about the sweep of Rebbe Nachman’s life without psychoanalysis of his complex personality (as in Arthur Green’s fine book) this is an excellent treatment. A better illustration of the birth and growth of Breslov Chasidim I do not know. Marianne Apostolides’ book Inner Hunger hits home for me in an unusual way. 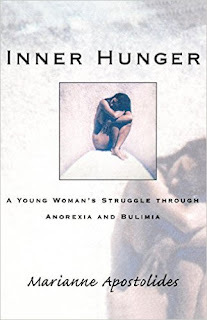 Not directly because of the subject matter of bulimia and anorexia. Rather, she grew up in my suburban New York City town and her brother was in my class. So I can't help but see her struggles against the wider canvas of my home town's culture of indifference and a lack compassion. In Apostolides’s book, the community is in part responsible for her disorders. She does not write about any organized response to her terrible pain from the school or community. In the culture of upper middle class achievement of Garden City, painful displays of emotion are best hidden, as they deviate from the prevalent narrative of the town. For me, this hits hard. Her book is powerfully written and deeply moving. The pain and agony of her condition is only offset by the gradual recovery of her emotional life and widening sense of self-understanding -- of the realization that she must confront her pain directly, and not through any buffer. This is hard life lesson, one many of us never learn. I am late on the Freakonomics bandwagon. It appears that the franchise (a blog, a a sequel, a radio show, a movie!) is finally over, and it is most likely a very good thing. When I worked with Economics students a first year PhD student, with a firm conviction of his own superiority propelled by his lack of skills (he failed out after the qualifying exams) kept a secret blog (a very early 2000s phenomenon, which held a fascination it no longer holds) trashed this book in the blog, and all attempts to creating a pop or even understandable economics. He was wrong; as he was wrong about his own chances in the program, as no doubt he is wrong about many things right now. Popularization of a particular field in the form of a book is not some bastardization that sullies the sacred art of economics, physics, or chemistry. Rather, it is the ultimate challenge to expose a broader audience to the importance of a discipline. It is not bastardization as much as proselytization. 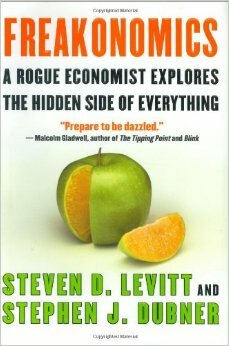 Freakonomics only fails in its extreme dogmatism. The book propose the not very novel idea that the authors are completely right about particular topics they examine while everyone else is wrong. Yet we all know that in any field of study, differences of opinion, questioning of study methods, research design, and interpretation of data are the bread and butter of organized and scientific inquiry. Without it, we have articles of faith, and not free and open inquiry. And this is where Freakonomics fails. In Working Stiff: Two Years, 262 Bodies, and the Making of a Medical Examiner, Dr. Judy Melinek, in tandem with her husband, have written a more than average account of her time as an apprentice medical examiner, which overlapped with the destruction of the World Trade Center on 9-11. Parts of this book may make the squeamish cringe. She explains that many of her tools can also be found in a butcher shop; when she depicts how a brain is cut into thin slices for examination, I imagined deli slicer working on a breast of turkey . 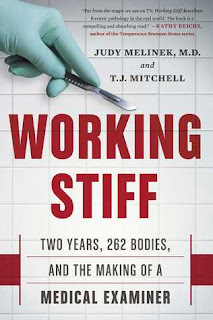 Melinek does an admirable job illustrating how a medical examiner must treat the human body as a scene for clues; and how the medical examiner must divorce him or herself emotionally from the job of dismembering the human body. The only time she admits to losing her professional guard is when victims of American Airlines Flight 587 in 2001 were brought to the morgue. A bag marked “body parts” instead contains small children. Pregnant herself, she steps back, unable to further look. A male colleague performed the autopsies in her stead. In this one case, motherhood, it seems trumped science. And one can see how. Confession: I do not think Jack London is great writer. He inhabits a niche in American fiction, certainly, his story about lighting a fire in Alaska finds its way most anthologies of American short stories, but as an artist, I find him lacking. On the level of language, he really does nothing new or exciting with English; his prose is often dull or commonplace; his characterization weak and underwhelming; his plots, unimaginative, and under stimulating. So, this brings us to The Iron Heel. Written in 1908, it is a dystopic novel which tells of the rise of an oligarchical class which seizes power in the United States, robbing the Socialists, backed by the working class, or their legally won seats in the House of Representatives. This starts a repressive war which lasts for three hundred years. But the reader must suffer through at least a hundred pages of flat Socialist hero characters making long speeches to cardboard capitalists, insisting that the rise of socialism is an evolutionary and biological inevitability. This is old reading, more interesting for its naivete than its content. The book gets up a head of steam when the actual armed conflict begins when the oligarchy, the Iron Hell, but this is well into the novel, and many readers won’t have the drive to get to this point. This novel bears the conceit of being a manuscript written by one of the Socialist hero’s wife. It is annotated by a scholar after the Socialist revolution has brought back the Garden of Eden. There are many obvious and cringe worthy footnotes about this heaven on earth set nearly four hundred years in the future. 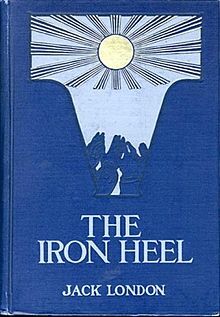 The Iron Heel is a novel of great promise that ends in disappointment. The story has an excellent setup without adequate execution or design. 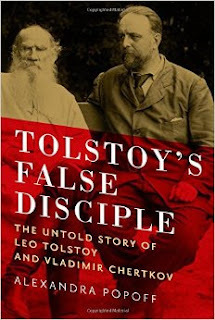 Alexandra Popoff’s Tolstoy’s False Disciple: The Untold Story of Leo Tolstoy and Vladimir Chertkov is a fascinating tale adding much needed insight into one of the world’s most complex writers and thinkers. Tolstoy, in his later years, had a group of followers who exercised a wide influence on him. According to Popoff, the greatest of these was Vladimir Chertkov, a man who eventually wrestled control of Tolstoy’s legacy from his family after he died, for monetary gain and personal prestige. Popoff paints Chertkov as a very unsavory character: mercurial, dictatorial, flattering, lazy ­– he still had a certain charm and charisma. For certain people, Chertkov was irresistible. This was the case with Tolstoy. Popoff’s plots the many ways Chertkov was able to manipulate the great writer. Tolstoy, in turn, appeared to need something in his relationship with Chertkov, which he continued to the day of his death. This man greatly attracted Tolstoy. Perhaps the most lasting legacy of Chertkov’s control was the idea that Tolstoy’s wife prevented the writer from living the ascetic life he preached. Popoff shows how Chertkov purposely crafted this perception to gain posthumous control of Tolstoy’s image and to make it acceptable to Soviet propaganda. This fascinating book is clearly written and provides great insights into Tolstoy’s life and legacy. It plots both the complexities of Chertkov and Tolstoy, and the gives the reader an excellent picture of the historical and political context in which they lived. Paper Promises: Debt, Money, and the New World Order by Philip Coggan is timely, informative, clearly written, and utterly depressing. Coggan takes us through the history of money, credit, debt, illustrating the various ways people give credit and take on debt, and how this dynamic has changed with history, location, and circumstance. 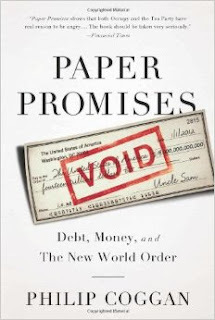 The New World Order in the subtitle is just that: we are on the verge of a debt cataclysm, probably to be enacted in stages, and from this will develop a new monetary system. It will be just as radical a change as after the Great Depression, or World War II and Bretton Woods; it will most likely benefit China, the world's largest creditor. The sky will not fall down (at least forever), people will still buy and sell, establish credit and take on debt, but America’s preeminent role as the world’s largest economy and most stable monetary system will be gone, according to Coggan. The system will fail as most do: the very dynamics that made us wealthy, paper money no longer pinned to a gold standard, will cause it to collapse. The wealth we easily gained will cause from printing money will cause the system to devolve.